Copyright © Birchcraft Studios. Images used with permission. Send warm wishes with this Rosh Hashanah card featuring fruit and honey on a wooden table top. 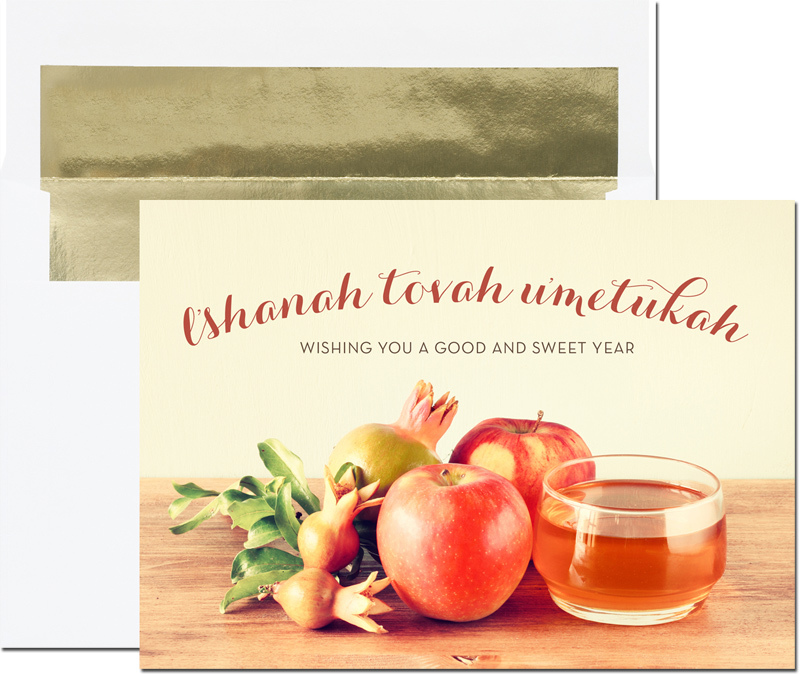 This white folded (fold at top) traditional Rosh Hashanah card is sure to please any recipient on your list! 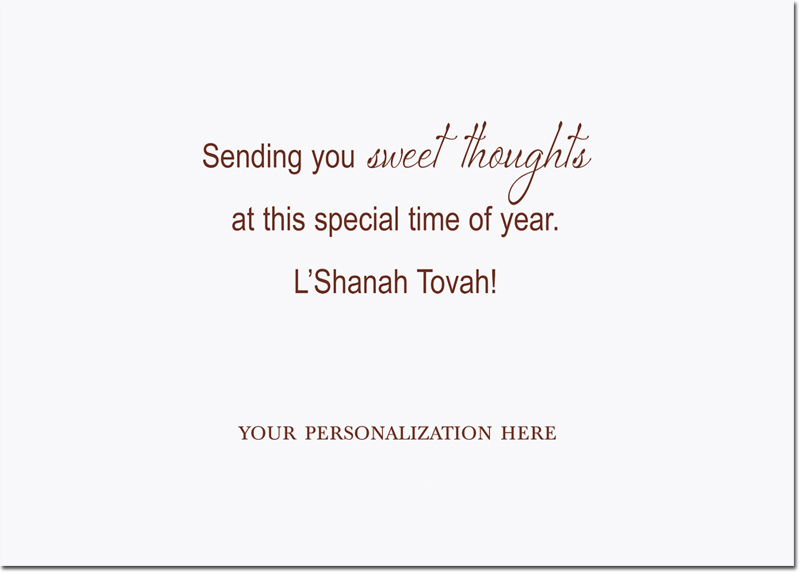 Your choice of sentiment and personalization prints on the inside of the card. Gold envelope linings are included in the price of these cards. 5 5/8" x 7 7/8"
Choose any available typestyle for your signature lines ONLY. The typestyle for the sentiment will as shown based on the sentiment you choose. Your greeting and signature will be flat printed on the inside using brown ink as shown or you can change to an alternative ink color for no additional fee. Sentiment WJ9 shown. You can keep the sentiment shown or choose any of the standard sentiments at no extra charge. You can also create your own custom sentiment for an additional fee. Gold lined white envelopes are included in the price of the cards. Optional KwikSeal (self-sealing) envelopes are available. Simply uncover the self-adhesive strip by peeling off the protective strip from the envelope flap and press closed. KwikSeal envelopes come with the same lining as shown with the card chosen. Do you want "Kwik Seal" envelopes? printed on the back of the envelopes?